He has also been DJing alongside Trentemoller every now and then since the early days and most recently TOM And His Computer performed live on the opening slot of Trentemoller's latest live tour and lately at Sonar Copenhagen 2015. 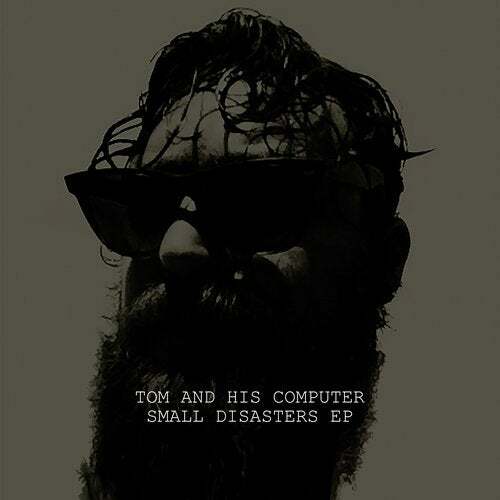 Now we are happy and proud to present 'Small Disasters', TOM And His Computer's debut EP on Anders Trentemoller's label In My Room! Mixing elements as disparate as electronica, lo-fi guitars, driving beats, vocals and cinematic soundscape, this EP is a perfect example of why TOM And His Computer is tipped for big things in 2016. What maybe can be described as 'alternative electronic music' unfolds in different nuances. The lead track 'Organ' rides along on a crunchy rhythm track while throwing in psychedelic organs and howling electronics. Fizzing guitars weave in and project a paranoid undertone. Next up is 'Girl A Go Go' and its raw driving beat and bass hits in without any warning, before an agressive, hypnotising surf like guitar-riff comes in. Layers and layers of dirty distortion build a colapsing, overdriving climax. 'Tectonic' keeps the dark energy flowing, but packs it into a slow crawling creepy setting, drenched in reverb and noisy layers. Fraser McGuinness contributes the otherwordly vocals. Is he moaning? Or conjuring? Or proclaiming? The song evolves from a fragile, fleeting feel into a massive, 'tectonic' pressure and all the way back. 'La Fountaine' completes the EP with another cut that perfectly fuses diverse elements from across the musical spectrum - choral sounds, new wave edginess and plenty of effects. Although we don't hear the noisy wall of sound, it doesn't lack any tension, as it builds a captivating atmosphere with a slightly sparser instrumentation. Dreamy and threatening at the same time, but keeping the title EP in mind it might lean towards the latter.